That's typical of North Korean propaganda. I'm still surprised they let their leader be so close to the launch. The 67-metre (220-ft) tower will be able to accommodate the launch of a longer-range missile than the rocket test-fired in December 2012. That launch was widely considered successful in putting an object into space orbit, the Yonhap report said. Progression towards launch is still on schedule. Note this is either a new Unha or has new taller wider upper stages. BEIJING, July 23 (Xinhuanet) -- South Korea's defense ministry says it is closely monitoring the Democratic of People's Republic of Korea after reports that it was upgrading a missile tower. 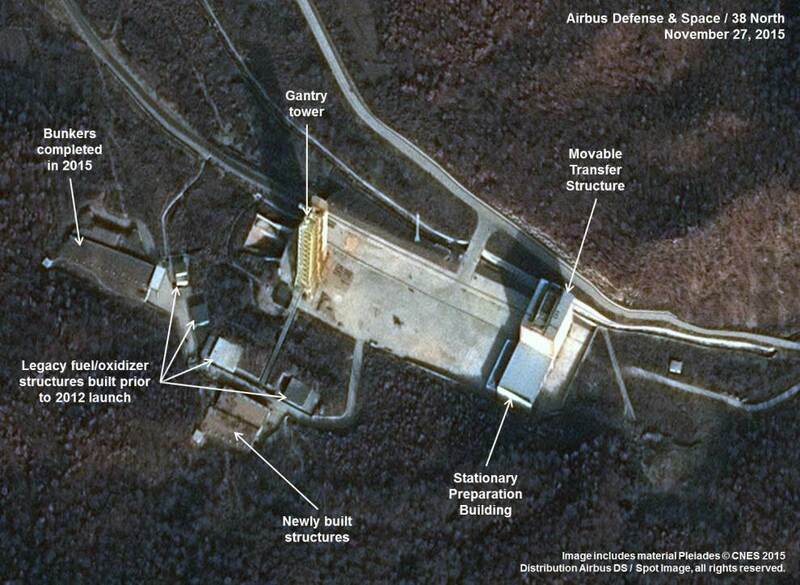 South Korea's Yonhap News agency reported that the DPRK had erected a new, taller launch tower at its missile base. The 67-meter tower would be able to accommodate the launch of a longer-range missile than the rocket test-fired in December 2012. 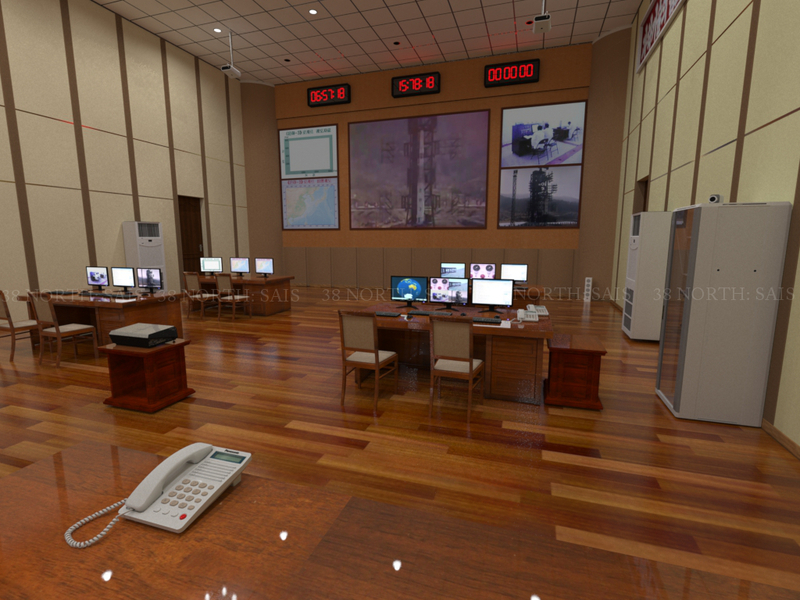 Yonhap quoted a South Korean government source as saying the newly upgraded Tongchang-ri launch pad would most likely be used around the 70th anniversary of the founding of the DPRK's ruling Workers' Party on October 10. 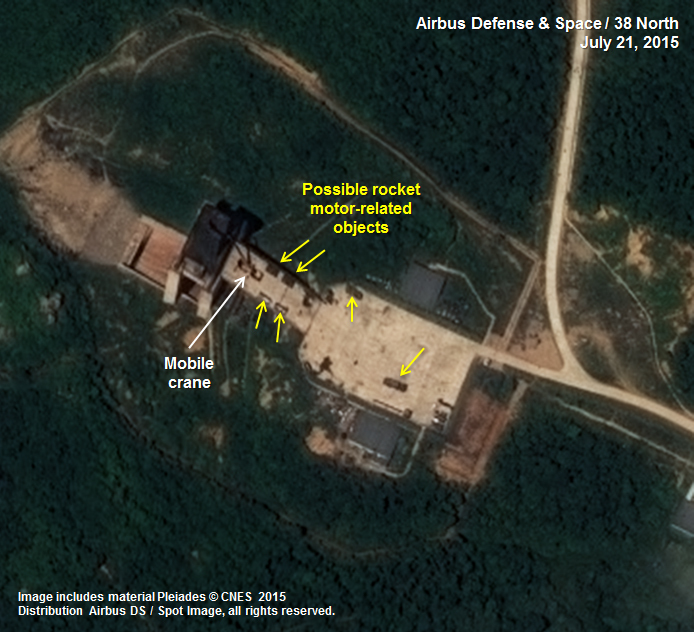 SEOUL, July 22 (Xinhua) -- The Democratic People's Republic of Korea (DPRK) erected a taller launch pad for long-range rocket at a rocket base near the west coast, South Korea's Yonhap News Agency reported Wednesday citing a government official. Extension works for the 67-meter-high launch tower was nearly completed recently in Tongchang-ri in the DPRK's northwest, the official was quoted as saying. 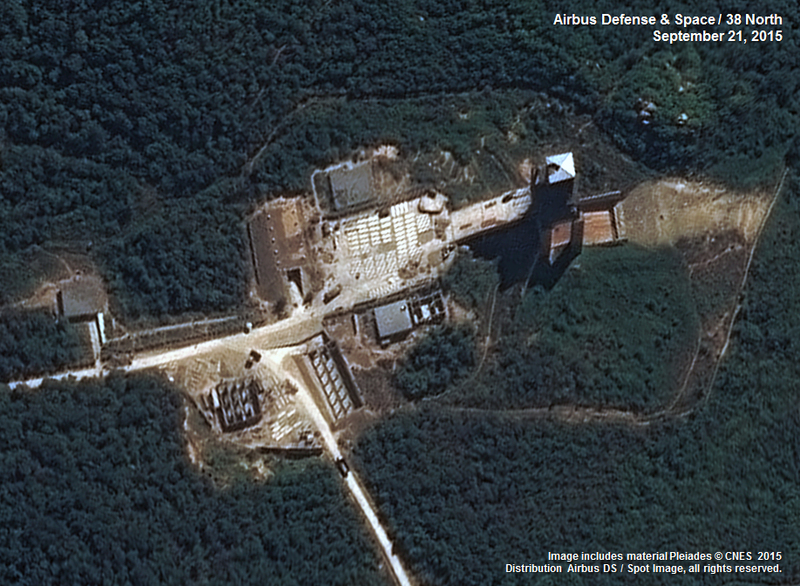 The works began in late 2013 to extend the 50-meter launch pad. With the extension, the DPRK was estimated to be able to fire long-range rockets twice the size of Unha-3, which was fired into space orbit in December 2012, two months before the DPRK's third nuclear test. 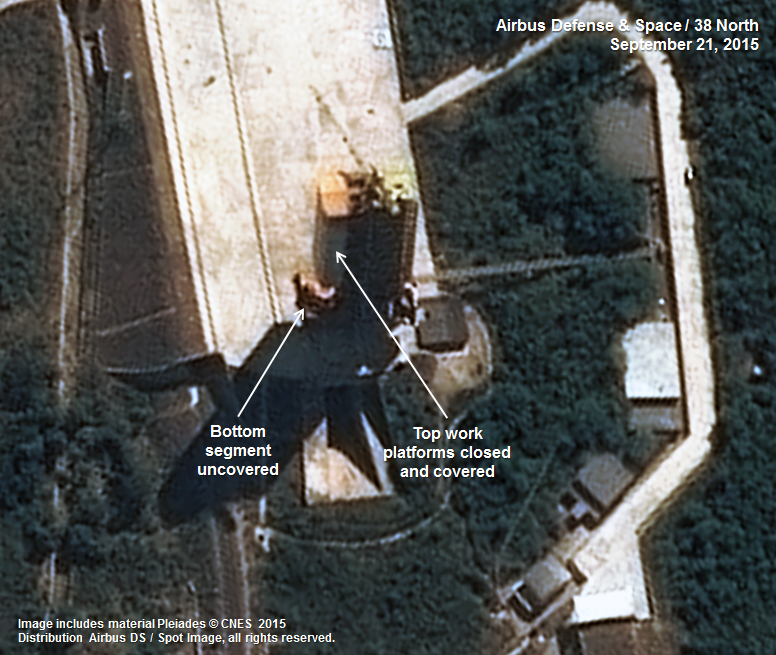 The 30-meter-long, three-stage Unha rocket was fired from the Tongchang-ri launch pad. The official was quoted as saying that the DPRK is to use the new launch tower to fire a longer-range rocket than the previous Unha-3 around the 70th anniversary of the founding of the Workers' Party of Korea on Oct. 10. 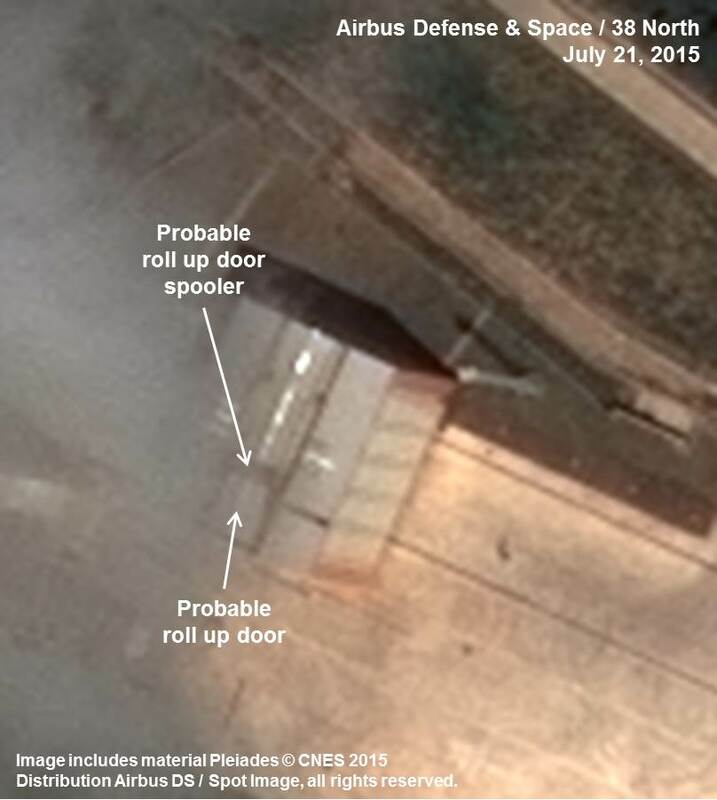 Signs of producing longer-range rockets were detected at an arms factory near Pyongyang, another official was quoted as saying. Seoul said U.N. Security Council resolutions have banned all launches based on the DPRK's ballistic missile technology. Despite these developments and statements by the ROK Ministry of Defense that Pyongyang is likely to conduct a “strategic provocation” around the time of the 70th anniversary of the founding of the Workers’ Party of Korea, there are still no indications at Sohae that test preparations are underway to support a long-range SLV launch. There is also no public evidence to suggest that a decision has been made by the leadership in Pyongyang to move forward with a launch. 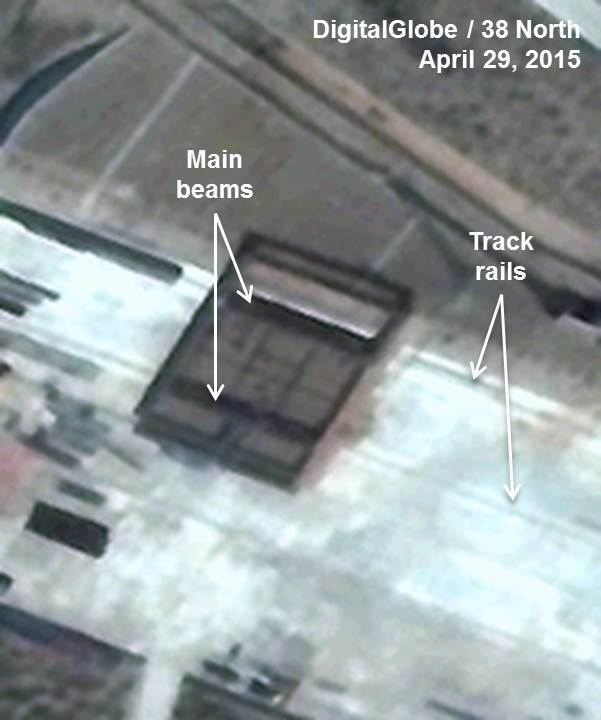 In the coming weeks, if preparations are indeed underway, we would expect to see other on-the ground indications at Sohae including increased rail activity and the possible arrival of missile related railcars, activity at facilities associated with rocket assembly, the filling of oxidizer and fuel storage tanks associated with the launch pad, activity at range radars intended to track a launch and possibly the arrival of VIPs to observe a launch. 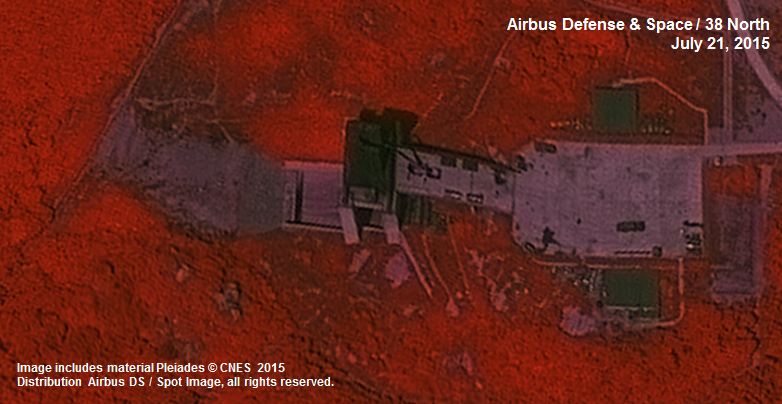 In this image, the red band indicates healthy vegetation. Had an engine test occurred, the vegetation around the flame trench would be scorched. Movable transport structure base under construction. Probable location of roll up door and spooler. Work platforms are closed, with cover replaced only on top segments. Continued construction on fuel/oxidizer buildings at the engine test stand begins. "North Korea declared the no-sail zone in the East Sea area near Wonsan, Gangwon Province, effective from Nov. 11 to the 7th of next month," a government source said. "It is a vast area of the sea, so we are closely watching whether the North will launch a Scud or a new type of ballistic missile." The Seoul-based news agency reported that a North Korean KN-11 missile was fired between 2.20 p.m. (0520 UTC) and 2.40 p.m. local time on Saturday. The submarine-launched ballistic missile (SLBM) was discharged from a submerged barge in the Sea of Japan but there was no indication that the missile successful ejected from the vessel and took off, it said. Quoting an unnamed South Korean government official, Yonhap reported that the rocket flew about 150 meters (490 feet) out of the water. "There is no identification of a missile taking flight and only fragments of a safety cover were observed so it's highly likely that the launch was a misfire," the source was cited as saying. North Korean officials have yet to reveal details of the test, but they did declare a no-sail zone off the country's eastern coast two weeks ago. Pyongyang is still years away from developing submarine missile launch technology, the Reuters news agency reported.